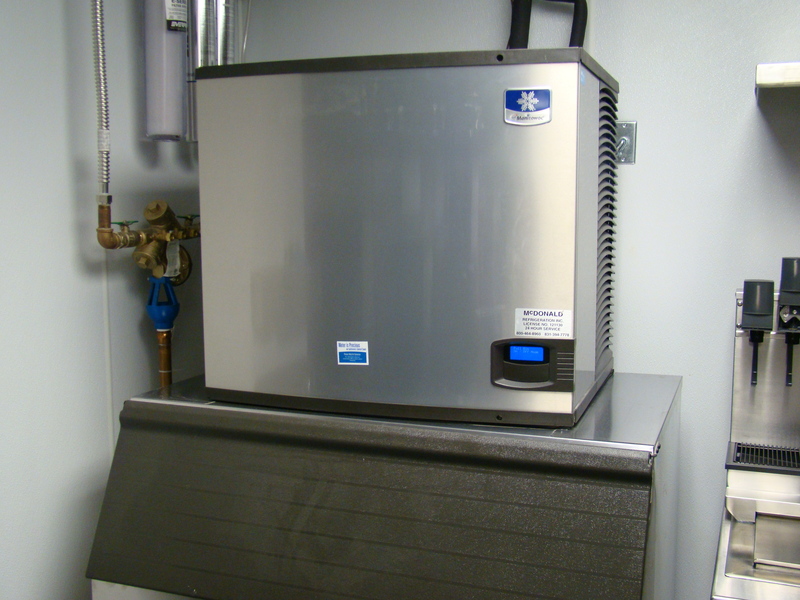 Brew Pub Refrigeration - McDonald Refrigeration, Inc. Brew Pub Refrigeration – McDonald Refrigeration, Inc.
Walk-in Cooler provides controlled temperature storage for food products and miscellaneous items. 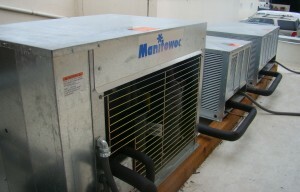 Remote condensing unit is located outside on the building roof. 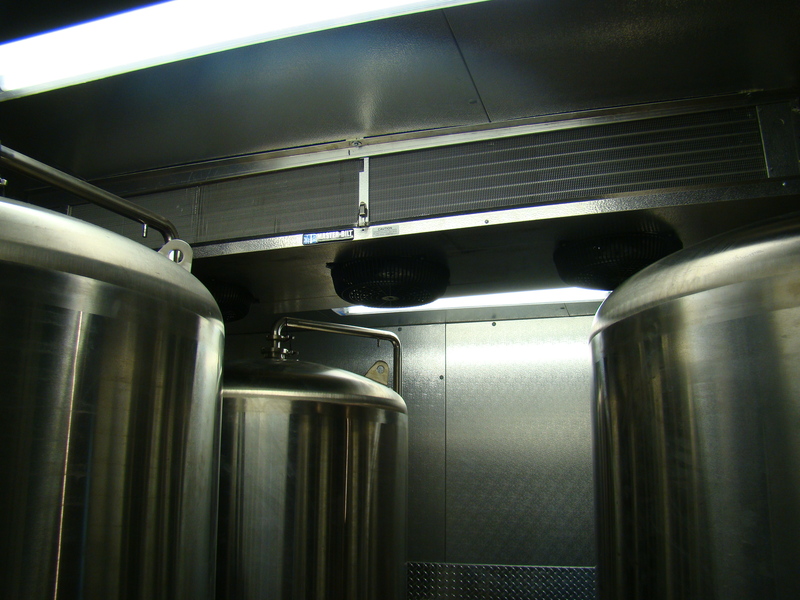 Keg cooler provides a controlled temperature environment for large beer keg storage. 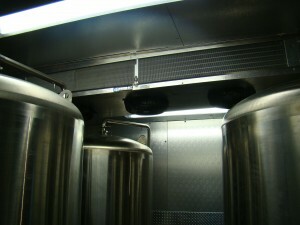 Low profile ceiling mount evaporator coil is used to give more ceiling room and balanced air flow. Condensing unit is remote and located outside on the building roof in a designated area. 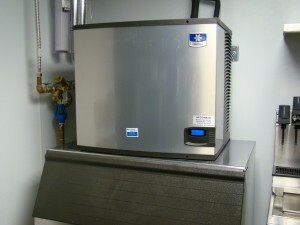 Ice machine is a quite cube series that has a remote compressor and condenser located outside to reduce noise and heat in the kitchen. 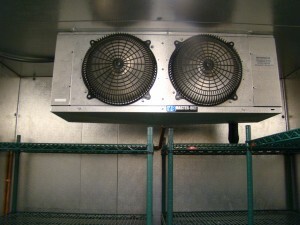 All refrigeration lines are remote to designated condensing unit outside roof.